The Republic of Mozambique is located on the south-east coast of Africa, bordered in the north by Tanzania; on the west by Malawi, Zambia and Zimbabwe; on the south-west and south by South Africa and Swaziland; and on the east by the Indian Ocean. Mozambique is a member of the Paris Convention, the Madrid Agreement and the Madrid Protocol, the Nice Agreement on Classification of Marks and the WTO/TRIPS. Provision is made for the registration of product and service marks, as well as for collective and certification marks. Trade mark applications may be filed as national applications, claiming convention priority in terms of the Paris Convention when appropriate; or Mozambique may be designated in international applications filed in terms of the Madrid Agreement. Mozambique is a member of the Paris Convention, ARIPO (Harare Protocol), the PCT and the WTO/TRIPS. Patent protection is available via a national filing or an ARIPO or a PCT application designating Mozambique. Mozambique has implemented both the PCT and the Harare Protocol (which regulates patent and design filings in ARIPO) in its national laws, thereby giving enforceable rights to patents obtained via ARIPO and the PCT. Foreign applicants must be represented by an accredited local agent. 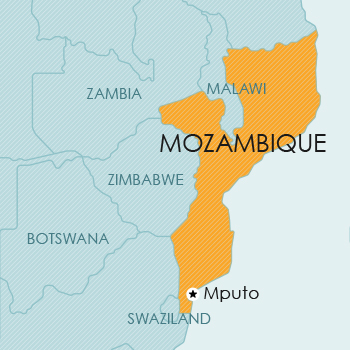 Mozambique is a member of the Paris Convention, ARIPO (Harare Protocol) and the WTO/TRIPS. Design protection is available by a national filing or via an ARIPO application designating Mozambique. Mozambique has implemented the Harare Protocol (which regulates patent and design filings in ARIPO) in its national laws, thereby giving effective protection to ARIPO designs in Mozambique. Mozambique is a member of the Berne Convention, as well as WTO/TRIPS. ideas, processes, operational methods, mathematical concepts. Currently, no legislative provision for plant breeders’ rights or other sui generis protection for plants is available in Mozambique.